Serenity - 2013-154, originally uploaded by Judi FitzPatrick Studio. 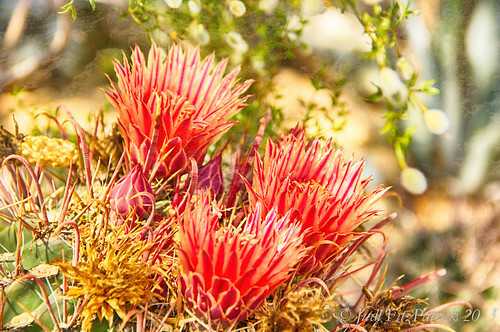 Three cactus flowers, reaching for the sun, make for a serene spring scene. This 3 image HDR was processed with the NIK HDR plug-in for Lightroom. Then a texture was added using GIMP.